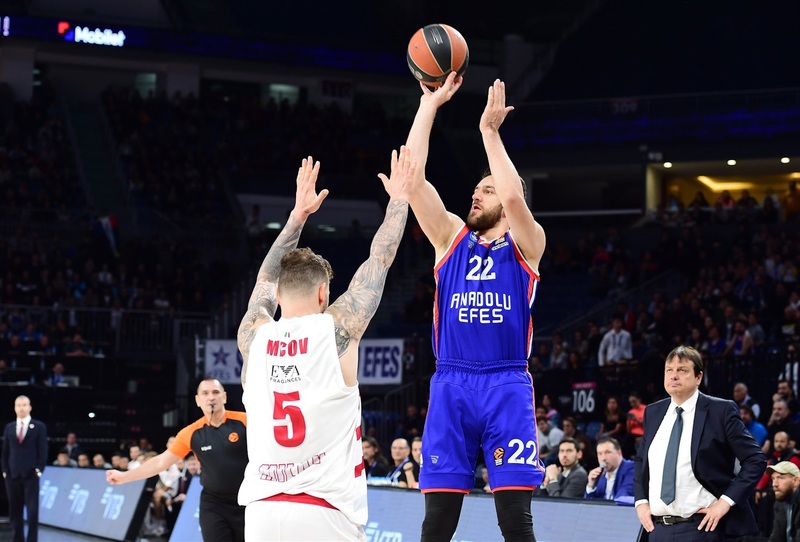 In a run-and-gun battle, Anadolu Efes Istanbul finished the Turkish Airlines Regular Season in style by topping AX Armani Exchange Olimpia Milan 101-95 at home on Thursday. 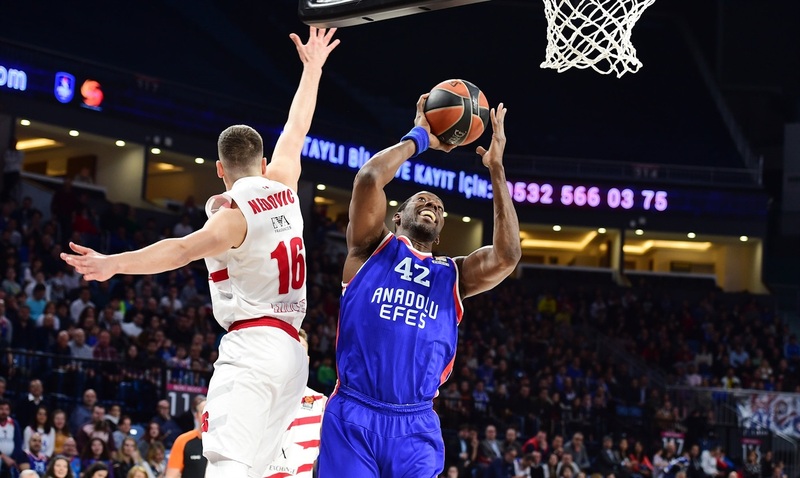 Efes, which had already locked up fourth place before the game, finished the regular season with a 20-10 record. Milan finished 14-16 and with this loss was eliminated from the playoff race. 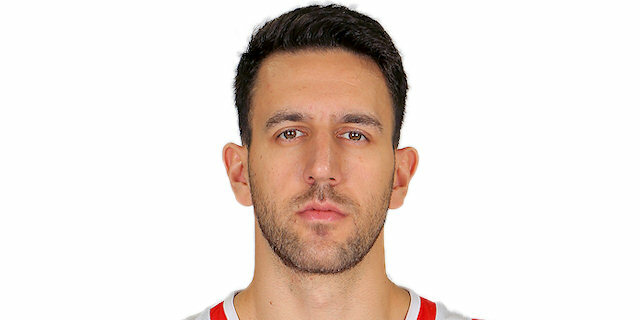 Vasilije Micic led the winners with 18 points and 8 assists. Rodrigue Beaubois, Krunoslav Simon and Tibor Pleiss each scored 14 points, Adrien Moerman had 13 and Shane Larkin 12 for Efes. 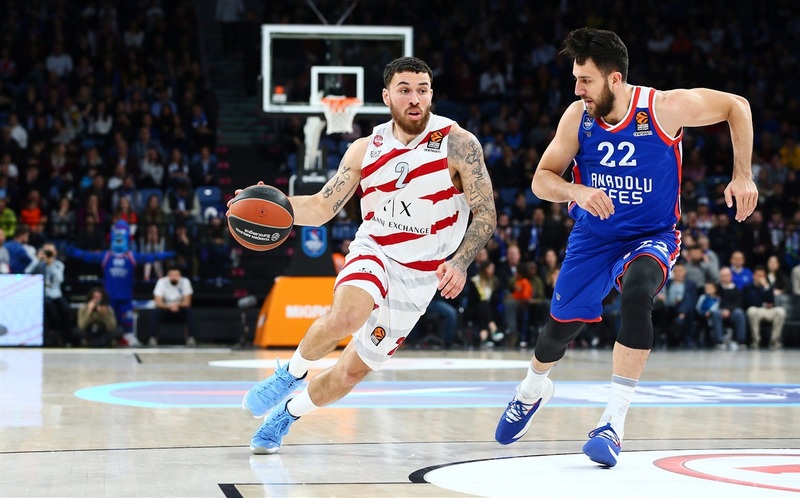 Mike James paced Milan with 17 points, Nemanja Nedovic added 16, Mindaugas Kuzminskas and Vladimir Micov each had 14, Kaleb Tarczewski 11 and James Nunnally 10. Efes used a 12-0 run to get a 24-20 edge after 10 minutes. Milan rolled in the second quarter and a buzzer-beating triple by James gave the visitors a 42-53 margin. Micic, Beaubois and Pleiss took over after the break, allowing Efes to grab a 74-69 advantage after three quarters. 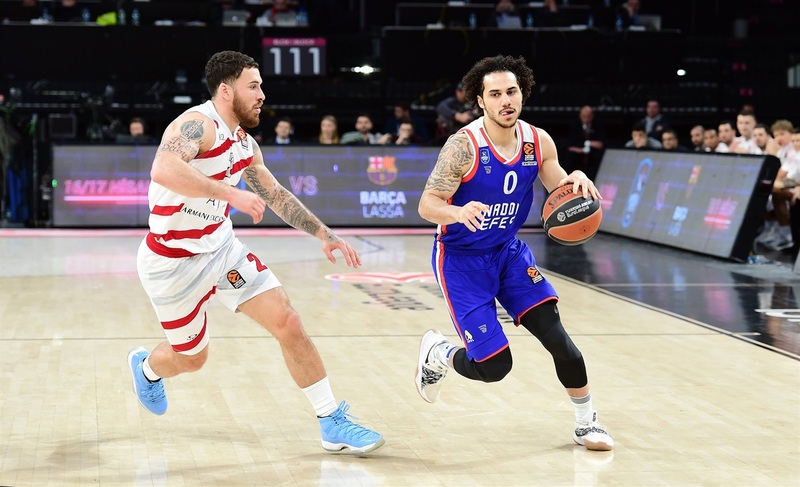 Milan managed to get within 90-88, but Larkin and Moerman stepped up in crunch time to lead Efes to its 20th win. Micic got Efes going with a driving layup, but James and Tarczewski soon gave Milan its first lead, 2-4. Micic beat the shot clock with a rainbow jumper and fed Pleiss for an alley-oop layup, but James kept Milan ahead, 6-8. 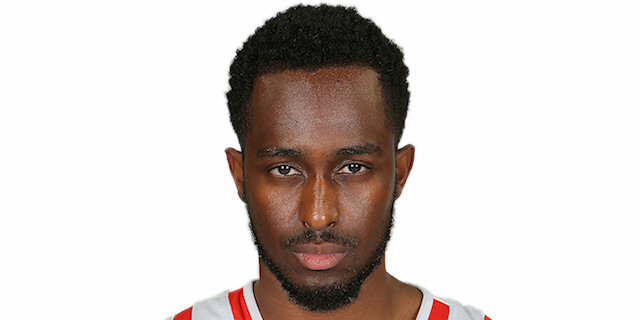 Beaubois stepped up with a put-back layup and a jump hook by Pleiss restored a 10-8 Efes edge. Micov took over with a three-point play and then struck from downtown in a 0-7 run that Jeff Brooks capped with a dunk, prompting Efes to call timeout at 12-18. Simon and Larkin each buried a triple and Bryant Dunston had 4 points in a 12-0 run that restored a 24-18 Efes lead. A layup by Alen Omic brought Milan within 24-20 after 10 minutes. Brooks struck from beyond the arc early in the second quarter and got help from Nedovic and Omic to put the visitors in charge, 26-29. James Anderson and Kuzminskas traded triples and a power layup by Dunston kept Efes within 31-32. A tip-in by Omic and back-to-back three-pointers by Nedovic and Nunnally caused the hosts to call timeout at 31-40. 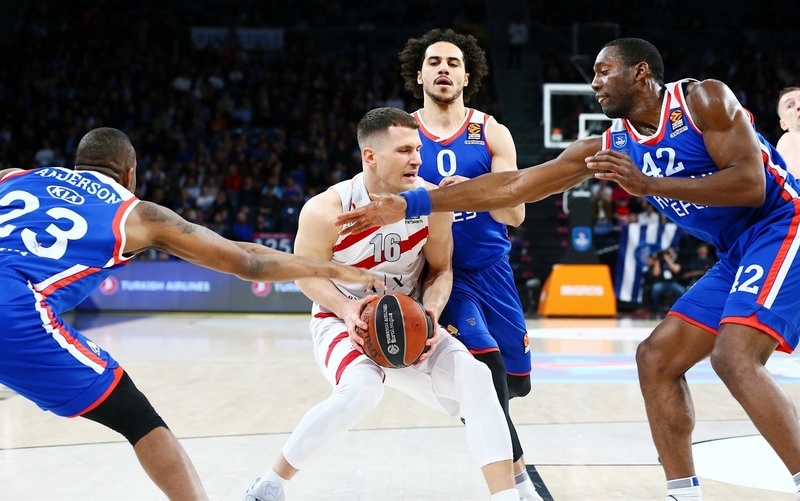 Efes found a new go-to guy in Sertac Sanli, but Nunnally and Nedovic stayed unstoppable and a buzzer-beating nine-meter bomb by James made it a double-digit game, 42-53, at halftime. Tarczewski dunked right after the break and Micov added a jumper, but Micic struck twice from downtown to make it 48-57. James downed a turnaround jumper, but Simon, Micic and Beaubois combined for all the points in a 12-0 run that brought Efes back in the game, 60-61. Nunnally rescued Milan with a triple, but a layup by Simon and a couple of dunks by Pleiss completed the hosts' comeback, 68-66. Moerman and Nedovic each buried one from downtown and a layup-plus-foul by Beaubois boosted Efes's lead to 74-69 after 30 minutes. 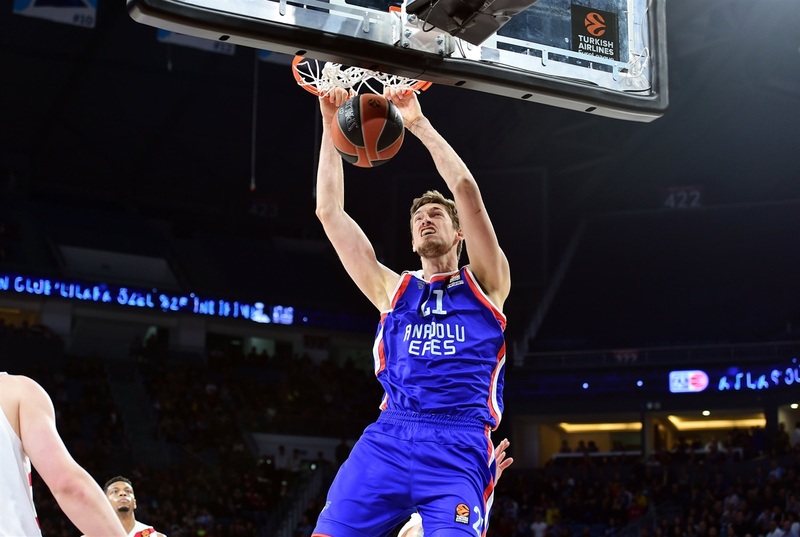 Pleiss and Moerman took over early in the fourth quarter to give Efes an 82-73 edge with 7 minutes left. 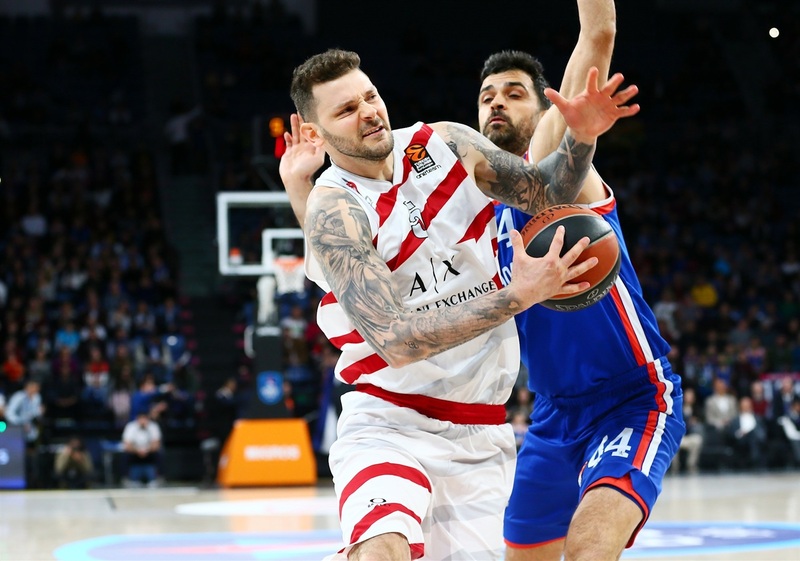 Micov scored down low, Tarczewski dunked again and a triple by Kuzminskas gave Milan hope at 86-82. James hit a floater, which Larkin bettered with a four-point play. Kuzminskas scored again and a layup by Micov made it 90-88. Micic hit free throws and found Larkin for a critical three-pointer, 95-88. Tarczewski answered with a layup-plus-foul before Larkin and James traded free throws. A jump hook by Moerman sealed the outcome at 99-93 with 27.3 seconds left. Micic had a strong all-around game, contributing at both ends to lead Efes to another win. He finished the game with 18 points on 4-of-5 two-point shooting, 2-of-3 three-point shooting and 4-of-4 free throws. He also collected 2 rebounds, 8 assists, 2 steals, a block and 5 fouls drawn for a game-high performance index rating of 28 - one shy of his career record against one of his former teams, FC Bayern Munich, earlier this season. Milan led 48-61 early in the second half, but a three-pointer by Simon and a layup off a steal by Micic sparked a 12-0 run that Beaubois capped with a big basket. Efes managed to get back in the game, 60-61, and soon got the lead for good. 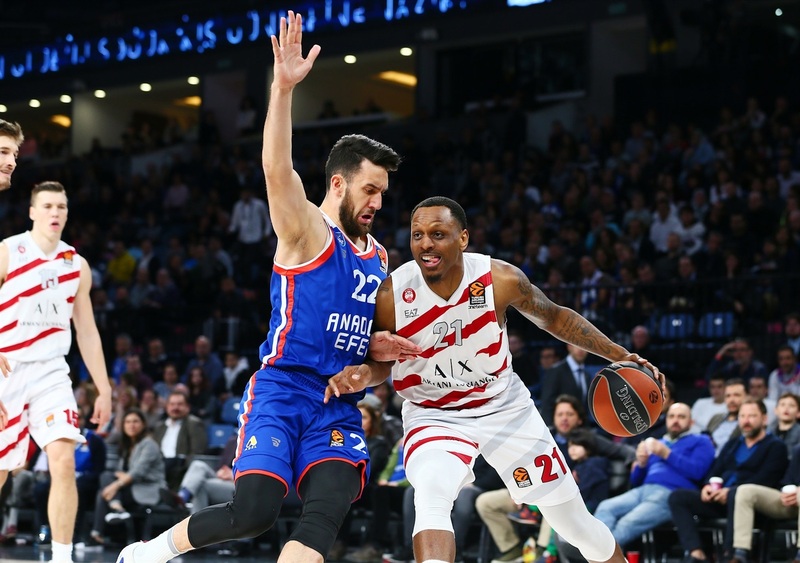 Milan had full control of the game, but Efes needed just two minutes of total basketball to erase its double-digit deficit. Efes had 10 assists and 9 turnovers in the first half, but all its ball circulation problems vanished after the break. Indeed, Efes had 12 assists and no turnovers in the second half, hitting 12-of-17 two-point shots (70.6%) and 7-of-13 three-pointers (52.8%). When Efes took good care of the ball, its shooting percentages went up and that allowed the hosts to get the win. 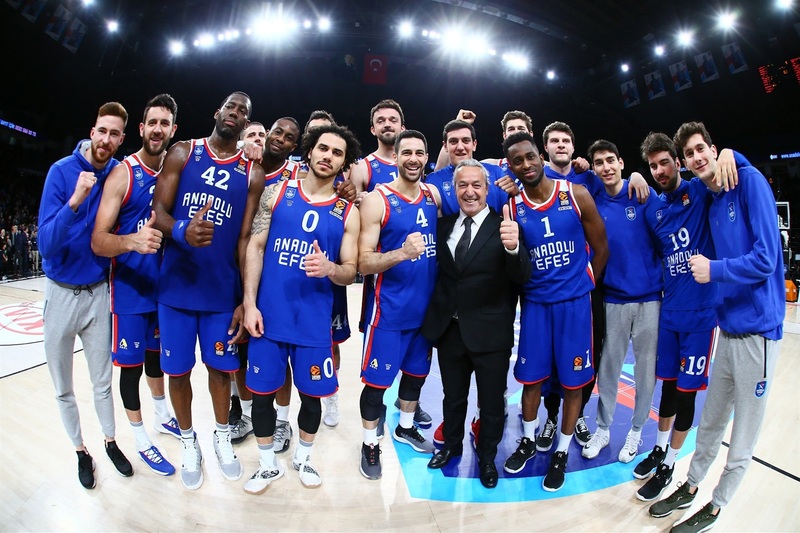 Efes finished the regular season with a 20-10 record; that is a 13-win turnaround for the Turkish powerhouse, the biggest since the new format was adopted and a tough record to beat. Efes ranked at the bottom of the standings last season with a 7-23 record. 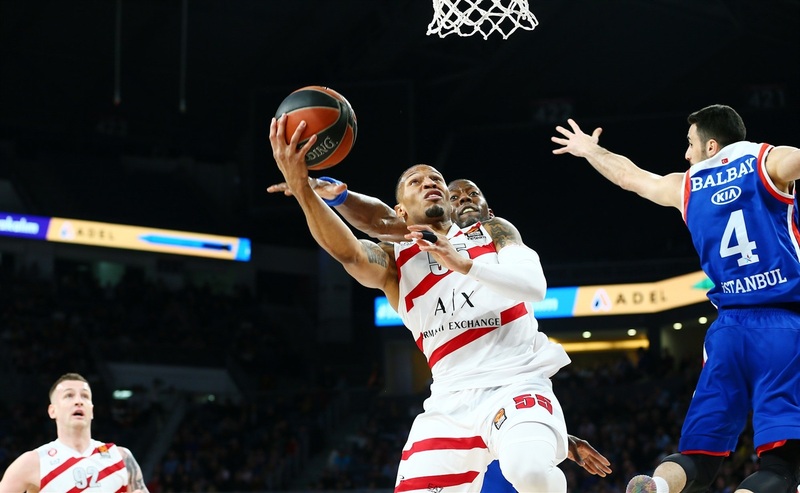 Efes hosts FC Barcelona Lassa in Game 1 of the playoffs in mid-April. Milan lost what was a do-or-die game for the Italian champs, marking the end of its EuroLeague season. "In the locker room, we talked about this not being a summer league game. This is not streetball. In the first half, we played like in a summer league friendly game, but we need to respect the EuroLeague and play aggressive. We can fight and lose, I accept that, but I told my players I couldn't accept this attitude, staying on the court in the first half and not putting in hustle, not playing defense. In the second half, we improved our defense and aggressiveness and we found our tempo. We played our regular basketball, nothing special. One more victory at home. We knew that for Milano it was a big game and they put great hustle, but we played fantastic basketball in the second half. 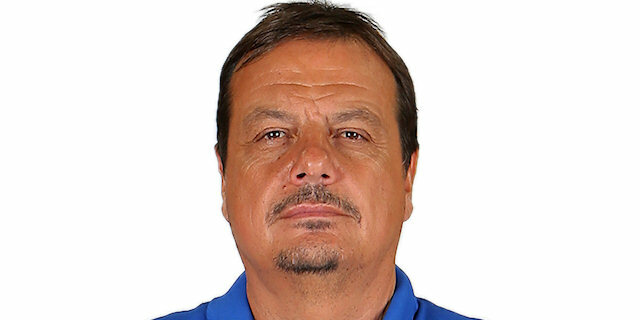 I am happy because tonight, we gave minutes to Sertac Sanli, who contributed 7 points, Bugrahan Tucner and especially for Rodrigue Beaubois, who didn't score easy points in the last games, but tonight, especially in the second half, I left him on the court because I wanted him to be back, involved, and he played a great second half. I am happy, we gave minutes to all players and played strategy with two bigs, Dunston and Tibor [Pleiss], and also with James [Anderson] on the '4' and finally we found the way with our regular system with Moerman at the '4' position. We found the way to attack, to play better defense, and we won the game." "We knew we could suffer against Efes's playing style, always moving the ball to create for their shooters and we are not perfect with our big men to cover the pick-and-roll in some situations, but I think the third quarter killed us, with some turnovers and some open shots that we missed. At the end, it was a high-scoring game, but we missed open three-point shots in the crucial moments and missed many open shots that Efes scored. If you see the percentages, three-point shots killed the game. Also, in some crucial moments, we were not able to make one steal, one recover, one rebound... small things that gave Efes the win. We tried and played an excellent first half." 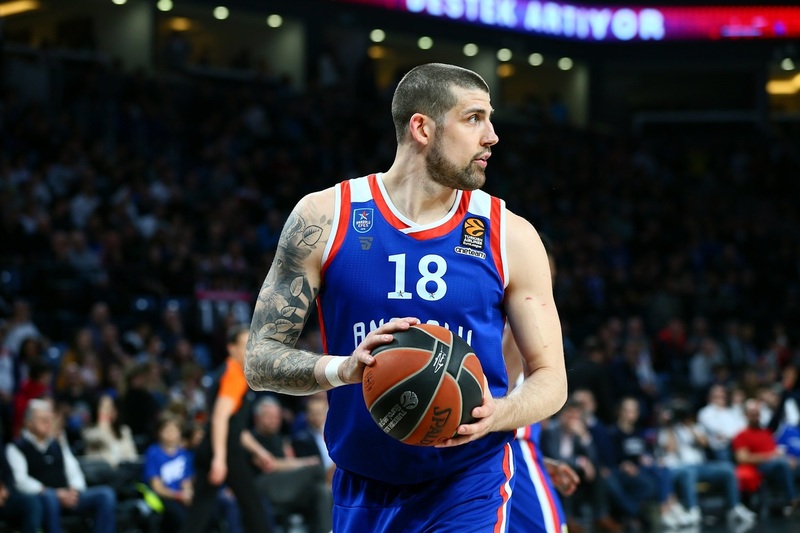 "It was very important for us to have a good game like we did tonight because it is our last game against a EuroLeague team before the playoffs, so I think we did good, even though the first half was not that good for us. I think that, overall, we had a good game, so that is very good to prepare ourselves for the playoffs. Everybody can contribute in this team; we have a lot of talent, so we need to share the ball, we need to be together and push because we want to go as far as possible." "In my opinion, we approached this game like every single game so far. I think it wouldn't be fair to all the other teams to calculate today or play weaker than generally, so we played 100% and I am very happy for our victory today. We are definitely ready [for the playoffs], but in my opinion, we have some important games in the Turkish League which we have to approach in the same way as today. Then we will be ready for the first game."